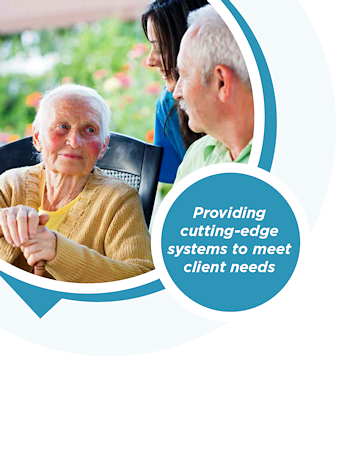 For more than 25 years, we have worked across the UK and Ireland, providing care and safety solutions to care homes, hospitals, managed housing developments, charities and many other organisations. Using the latest technology from renowned specialist manufacturers, we design, specify, install, operate and maintain automated systems for both new and existing sites, ensuring that these facilities meet the highest standards of care. We can do anything from providing a fully integrated system, using a range of products to shape a bespoke solution, to simply supplying a single product or basic system. We have vast experience of working with specifiers, contractors and end-users, bringing an independent perspective to projects and integrating systems to meet client needs – whether that’s enabling the more efficient use of expensive assets, supporting the delivery of care, protecting patients, residents and staff or simply improving communication throughout a facility. 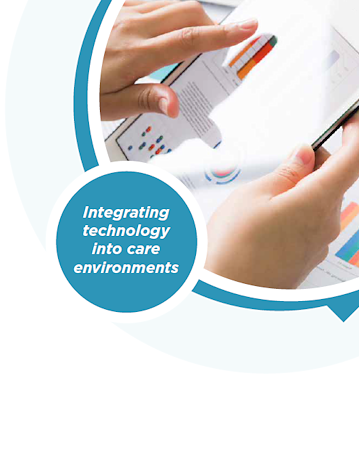 Wired and wireless nursecall systems help care homes and hospitals manage patient care on a 24-hour basis, allowing care professionals to respond rapidly to clients' needs. A wide range of systems are available - they can link a bedroom, bathroom, toilet or communal area to staff, through devices such as intercom, alarms, pagers and telephone handsets. We can also provide pendants or bracelets, which can be worn by patients or residents, and can be used to alert care professionals of a potential problem or need. More than 800,000 people over 80 in the UK have a form of dementia, and the number of cases is set to rise. Because of this there is a growing need in care environments to ensure that they are safeguarded against the problems dementia can cause, such as wandering and confusion. We offer unobtrusive solutions which can detect and identify patients' or residents' movements – for instance, through the use of portable pendants, bed monitoring and door monitoring – as well as lighting control systems which provide guidance for confused residents. Staff in many working environments can face the threat of attack, so it’s crucial that they are able to alert management if they are in a dangerous situation. We provide personal security systems which are worn discreetly and once activated, will send out signals to receiver units. These sound the alarm, and allow management to identify the location of the incident and the members of staff involved, and act appropriately. By using a personal security system, staff can be protected, incidents brought under control effectively and staff can be given extra peace of mind while they go about their daily work. Key staff members can also be issued with devices which alert them to an incident and the level of assistance required. We specialise in integrating a facility’s existing telephone system with all of the care technology solutions we provide: this generates a better return on investment for our customers, as it means that staff may not have to be issued with multiple devices, such as pagers or additional telephones, in order to receive alerts or communicate with residents, patients and colleagues. Whether you’re a care home operator, healthcare manager, contractor, developer, built environment professional or charity professional, we’ll work with you on every stage of a project, providing personal support and expert advice from design to completion – plus after-care and maintenance too. We offer a complete, turnkey solution, so will liaise closely with our clients at the specification and design stage, identifying the most effective combination of products and ensuring their seamless integration into a site from the start. Safety Systems Distribution works hand in hand with contractors on the installation process, whether the project is a new build facility or a retro-fit conversion. Our team will then guide end users through the operation process – and we also offer maintenance contracts and ongoing support, after the project is completed. When we say we are specialists in our field, we really mean it: Safety Systems Distribution will ensure that whatever products we use, they will be fully integrated, meet the highest standards and form a solution which is effective and built to last. Installation and commissioning can be included in all of the systems we supply and we have the utmost confidence in the high quality of our integrated solutions. However, regular maintenance should be carried out to ensure that these systems continue to work effectively in their environments. Maintenance contract packages are available for access, fire and emergency lighting systems, in addition to the packages we offer for the systems we supply ourselves. 24-hour emergency cover is also available. Safety Systems Distribution employs skilled, experienced personnel to carry out maintenance work, with minimum disruption to an operational environment. If you are currently in need of someone to maintain your systems or you are simply looking around to find a better deal, please contact us. We will be happy to provide you with a free quote.